20 years experience advertising, creative development, copy writing, brand development, market research, promotions, sales, entertainment marketing, multicultural marketing, media buying, public relations, conference planning domestic & international and general marketing experience. He is an engaged innovator and communicator with high ethics who gets results and creates winning environments by leveraging strategic marketing expertise with team-oriented goal development. Mr. Brannon has demonstrated success in profit and loss management, marketing, sales, and operations. He transitioned his consumer marketing experience building such well-known brands as American Airlines, Southwest Airlines, Churchs Chicken, Verizon, Warner Bros., Pro-Line Hair Care Corp, Greyhound Lines, ShowTime Networks, Blockbuster, BET, HBO, Sally Beauty Supply and General Mills into profitable results in market share and brand awareness. His large company background is complemented by entrepreneurial successes within divisions of Fortune 100 firms. Mr. Brannon began his marketing career in 1986 with AT&T, leading telecommunication company providing commercial and residential phone service and consumer products. Mr. Brannon was responsible for implementing the strategic launch of the Merlin and Spirit business systems. He joined Pro-Line Corp in 1989, where he developed and introduced new product lines that resulted in a 25% increase in total sales. With this success, he was promoted to Vice President of Advertising, two years after starting his marketing career. He revitalized mature product lines with innovative marketing programs that grew sales and increased market share. Mr. Brannon also gained skill in quickly assessing the drivers of a business to improve bottom line results. Prior to Pro-Line Corp’s merger with Alberto’ Culver, Mr. Brannon saw the opportunity to open his own multicultural ad agency in 1997 (The Brannon-Cottrell Group). His services were quickly sought after by several large corporations for his expertise in developing innovative marketing strategies. 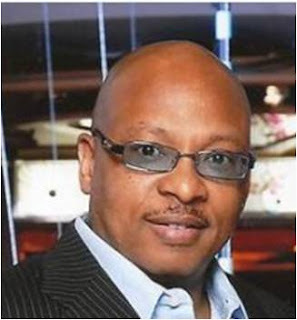 His vast experience in marketing, advertising, product development, entertainment marketing, media (TV, radio, print, outdoor, internet, direct mail) production, creative (development & design), research, event marketing, promotions and public relations has made Mr. Brannon one of the foremost multicultural marketers. He currently serves as Managing Director at Camelot Communications and is also Chief Marketing Officer at GYRE Entertainment. Mr. Brannon has created and executed some of the most talked about campaigns and strategies in general and multicultural marketing.